I used to hate snow. I used to hate it a lot. Yet this year I’ve been watching the weather forecast with eagerness. This week my weather app threatened snow again and again with no real results. Friday night I’m curled up beside my husband, listening to him read “Fellowship of the Rings” aloud to me. I roll onto my stomach and looked into his face. For those of you who may not be familiar with the “Calvin and Hobbs” comic strip by Bill Watterson, it is about an imaginative boy named Calvin and his stuffed tiger named Hobbs. Calvin loves playing in the snow and builds the most bizarre and entertaining snowmen. For more examples please feel free to google “Calvin and Hobbs snowmen”. The next morning I looked out my window. Snow! Glorious, heavy, wet, thick, white, snow! My dear hubby and I played for a good hour and made my imagined creation as well as a six foot monster to sit in the front yard. 🙂 Hey! If it’s cold and wet outside you might as well make the best of it right? Good old Calvin and Hobbs! I was quite jealous of your snow post. Our freezing level zoomed up to 10,000 feet and our high today was 58 degrees. No snow here in Seattle! Thanks for sharing!! First of all, I loved Calvin and Hobbes. I bought all the collections of the comic strips. Read it to my kids, read it to myself. So sad that Bill Watterson just walked away from it. Nice ghoulish snowmen tableau. 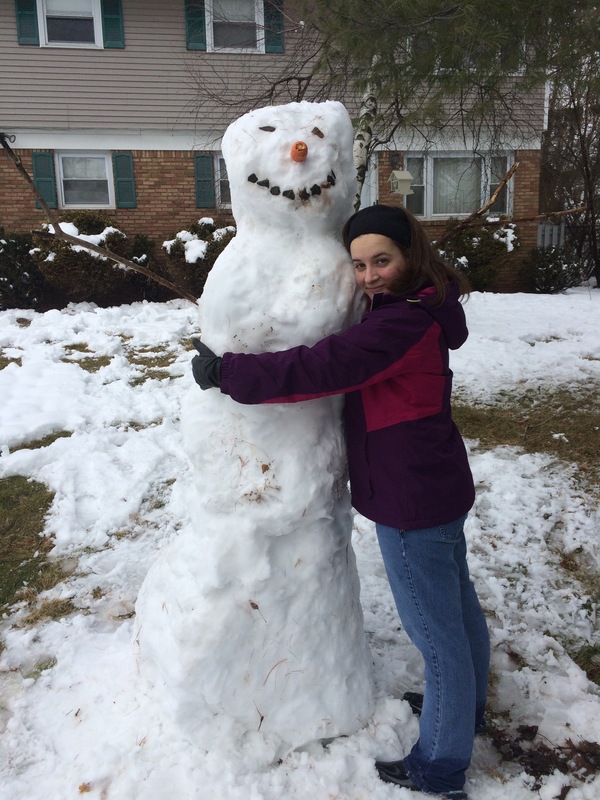 Cute pics…although I was a bit startled by the decapitated snow man!